Managing Remotes / Which remote URL should I use? For information on setting or changing your remote URL, see "Changing a remote's URL." 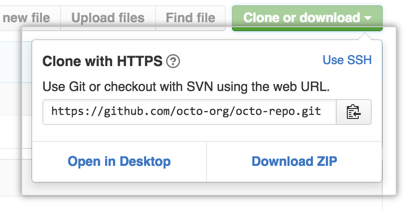 When you git clone, git fetch, git pull, or git push to a remote repository using HTTPS URLs on the command line, you'll be asked for your GitHub Enterprise username and password. When you git clone, git fetch, git pull, or git push to a remote repository using SSH URLs, you'll be prompted for a password and must provide your SSH key passphrase.